Republican Sen. Lindsey Graham said on CNN’s “State of the Union” that 98 percent of unaccompanied alien minors from Central America “never leave” the U.S.
“Right now, we have 11,000 unaccompanied minors from Central America; 98 percent of them never leave,” Graham said Dec. 30. Government immigration data show that 2 percent of unaccompanied children from the Northern Triangle region in Central America apprehended in fiscal year 2017 have left the country. But another 9 percent have received removal orders and 87 percent are still in immigration court, meaning more may leave the country in the future. It’s possible that many of the unaccompanied minors will stay in the U.S. unauthorized even if they receive a removal order. Limited government data, lengthy immigration court processes, and issues tracking individual cases make it difficult to predict an exact number of unaccompanied minors who remain in the U.S. permanently. When Graham mentioned 11,000 unaccompanied minors, he may have been thinking of the number of unaccompanied alien children in Health and Human Services custody. His office did not respond to requests for comment. The Department of Homeland Security refers apprehended migrant minors who arrived alone or were separated from their parents to HHS’ Office of Refugee Resettlement. The New York Times reported that more than 11,000 children were in HHS custody in August, but HHS told The Daily Caller News Foundation in an email that the number is currently around 12,400. Unaccompanied alien children referred to the Office of Refugee Resettlement are placed with sponsors in the U.S. while they await immigration hearings. DHS referred 40,810 unaccompanied alien children to HHS in fiscal year 2017, with about 95 percent coming from the Northern Triangle region in Central America—Guatemala, El Salvador, and Honduras. Unaccompanied alien children spent around 60 days in HHS custody in fiscal year 2018, on average. Graham’s 98 percent figure appears to reference a group of Northern Triangle unaccompanied alien children that includes those no longer in HHS custody. 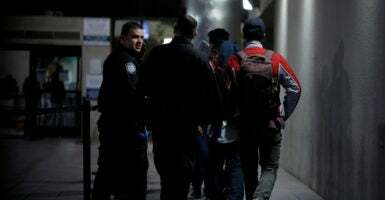 Figures provided by DHS show that of 31,753 Northern Triangle unaccompanied alien children apprehended in fiscal year 2017, 2 percent have returned to their home countries, while 98 percent are still in the U.S. The vast majority of that 98 percent, however, do not have authorization to remain in the U.S. indefinitely. While 1 percent of the unaccompanied alien children have received some form of humanitarian relief, 9 percent have received removal orders from immigration judges, and 87 percent are still in immigration proceedings. The immigration court process for Central American unaccompanied alien children can take years, so relatively recent statistics from one year don’t provide a full picture of their final status. More of those children could be removed from the U.S. in the future. Government statistics on unaccompanied alien children final status are limited. But a study from DHS’ Office of Immigration Statistics shows that a similarly large percentage of unaccompanied alien children from the Northern Triangle region apprehended or found inadmissible in fiscal year 2014 remained in the U.S. three years later. At the end of fiscal year 2017, only 3 percent had been confirmed returned to their country, while 26 percent were still in the U.S. despite receiving unexecuted removal orders. Another 44 percent were still in immigration court proceedings, and 18 percent had received some form of relief from removal. The report noted that unaccompanied alien children outcomes “differ substantially by country of citizenship.” Federal law requires unaccompanied alien children from countries that do not border the U.S. to be transferred to the Office of Refugee Resettlement within 72 hours of apprehension and guarantees an immigration court hearing. Mexican unaccompanied alien children, however, are screened within 48 hours and can agree to voluntarily return to Mexico if they have no fear of returning or are not determined to be a victim of trafficking. The vast majority of Mexican unaccompanied alien children cases in 2014, 92 percent, were returned due to those provisions. Graham mentioned the distinction in his CNN interview. “We have an unaccompanied minor from Central America, they should be sent back to their home country, just like if they were from Mexico. That’s a legal change we need to make with this deal,” he said. It’s possible that a large percentage of Northern Triangle unaccompanied alien children will remain in the country indefinitely even if they are not granted relief. 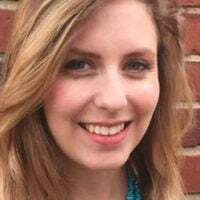 Sarah Pierce, a policy analyst at the Migration Policy Institute, told The Daily Caller News Foundation that the claim that 98 percent stay indefinitely didn’t strike her as inaccurate, though the exact percentage is difficult to determine. Some unaccompanied alien children may stay in the U.S. despite receiving a removal order. “For many of them, they’re ordered removed in absentia; they’re not even at the hearing when the judge orders the removal,” Pierce said, so some may not be aware that they were ordered removed. Department of Justice statistics show that 50 percent of unaccompanied alien children cases completed in fiscal year 2018 were decided in absentia. Other unaccompanied alien children may be aware of the removal order, but never show up to be deported and knowingly stay in the U.S. unauthorized, she said. Jennifer Podkul, senior director for policy and advocacy at Kids in Need of Defense, was skeptical that 98 percent of Northern Triangle unaccompanied alien children never leave the U.S. She highlighted the challenges of getting accurate data on the final status of unaccompanied alien children due to the lengthy court processes. “A lot of times, by the time their case is finished, they’ve since turned 18, and so DHS tracks their return just like they would any adult,” Podkul told The Daily Caller News Foundation. About half of the unaccompanied alien children referred to HHS in fiscal year 2017 were at least 14 years old. Ultimately, a backlog of immigration court cases resulting in part from a surge of unaccompanied alien children starting in 2014 makes it difficult to predict how many Northern Triangle unaccompanied alien children will remain in the U.S. permanently. DOJ reported that 76,634 unaccompanied alien children cases were pending as of March 31, 2018, with 8,378 of those pending for longer than three years.